As a small business owner, referrals should be part of your game plan. Unlike other ways you can get business, referrals don’t cost you anything, except a little effort. And even better than that, people who are referred to you are ready to trust your expertise and buy your products and services. Since people they trust and care about have referred them to your business, they are primed and ready, with little selling on your part. 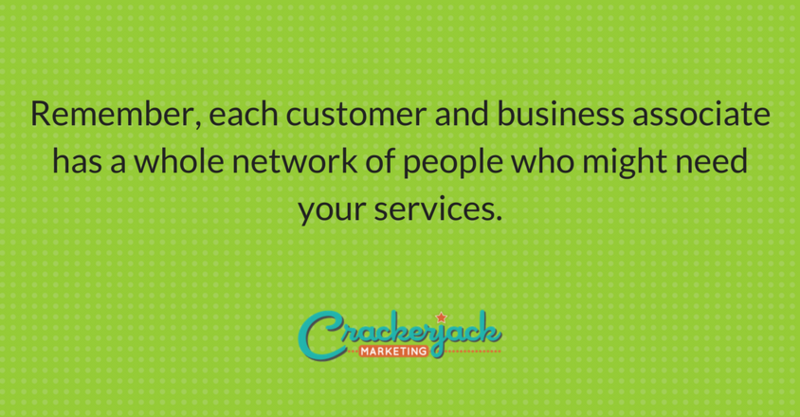 Remember, each customer and business associate has a whole network of people who might need your services. Can you really afford to pass that up? The most important tip for getting referrals is simple: remember to ask. Many business owners forget to ask for referrals or feel nervous about doing so. However, if you want more business, you’ll need to make asking for it a habit. Though your customers may think you’re wonderful, they might not think to refer others to you. If you give them the idea, however, many will happily oblige. Whom should you ask for referrals? Basically everyone you know or meet, including friends and family members, current and past business associates, and current and past customers. Ask in person if you can, using good eye contact and a confident, friendly tone of voice. Rather than creating a whole pitch, just casually inject your request into the conversation. If a customer is complimenting you on your services, that’s a wonderful time to ask. You might also ask new customers for referrals at the end of a project, when they’re happy with a job well done, or even when you initially sign an agreement with a new client. For example, you could ask a new client if he will spread the word about you if you do a good job. Look for referral opportunities at networking events as well, and if you have a store, ask customers to refer you when they check out. Ask during meetings with established clients as well. If you can’t ask in person, you can do so over the phone or by email. The important thing is to ask–frequently. Give referrals. 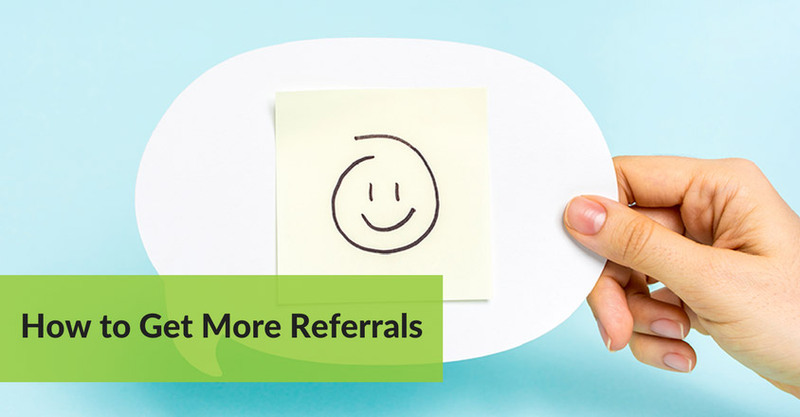 Whenever you have the chance, provide referrals as well. If you hire a plumber and he does a great job at a reasonable price, go ahead and give his name and business card to others. If one of your clients needs an interior designer and you know a good one, bring the two of them together. People appreciate this kind of thoughtful attention and will often return the favor by sending business your way. What’s your best advice for getting more referrals?